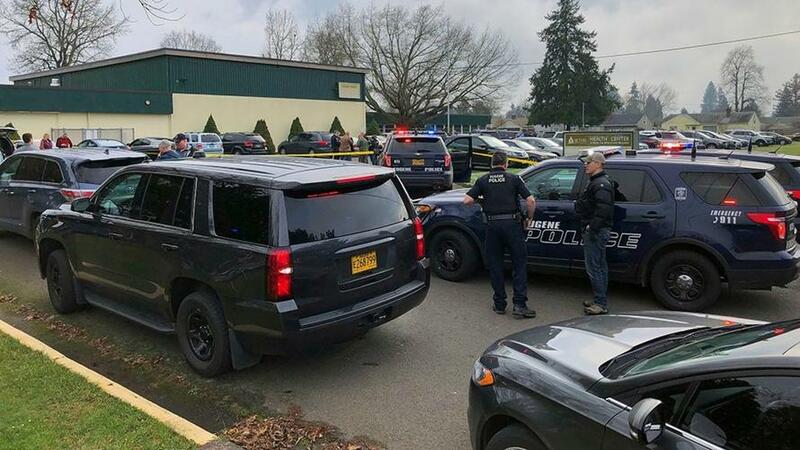 A police officer who shot the leader of a militant Antifa group was "legally justified" in a January 11 shooting at a Eugene, Oregon middle school. Charles Landeros, 30, was fatally shot in the head by officer Steve Timm at the Cascade Middle School, where Landeros' daughter is a student. Landeros can be seen on bodycam footage pulling a gun during a struggle with Timm and another officer, Aaron Johns following a custody argument. According to district attorney Patty Perlow, Timm and Johns tried to arrest Landeros on suspicion of disorderly conduct and trespassing - pushing him outside the front doors. Landeros pushed back, and the pulled a handgun as he and Johns begin to struggle. Landeros can be seen pointing the gun at Timm and firing two rounds which miss the officer. Timm returned fire once and hit Landeros in the head right in front of his daughter. "It is unknown why Charles Landeros chose to use deadly force in this circumstance, but he clearly had no regard for the lives of the police officers or the students or staff present, including his child," said Perlow in a statement. "Officer Timm saved the life of Officer Johns, himself and perhaps many others given the number of rounds Charles Landeros had loaded in his weapon. There is no clearer circumstance that the use of deadly force is justified than this." 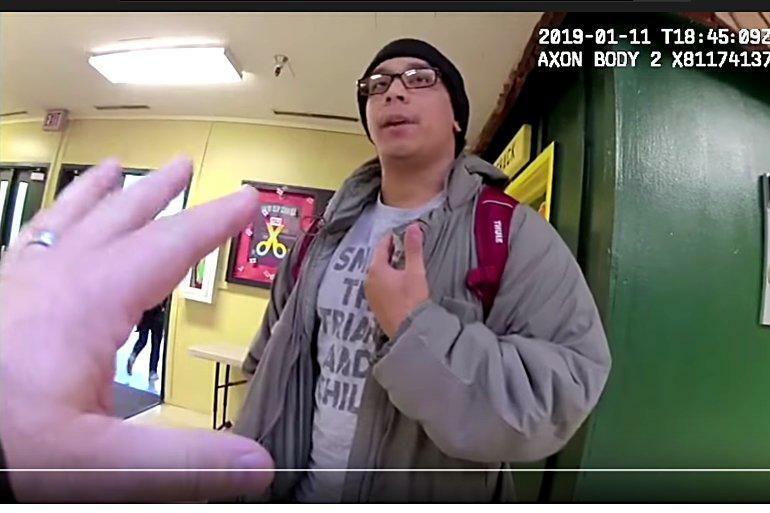 Landeros founded the "community Armed Self-Defense" Antifa group, according to Ammoland, and was wearing a "smash the patriarchy and chill" shirt during the incident. Landeros' family has called for an independent investigation into his killing, noting that he was an honorably discharged Army veteran and the father 10 and 12-year-old daughters. "They're saying disarm cops, they're saying that was murder. It wasn't murder. [Landeros] brought a gun to my kid's school," said Karen Neurotch. "They didn't get calls because their kids don't go here. I got a call saying my kid was terrified because they heard shots fired."